A: An arborist is a specialist in the care of individual trees who has passed a rigorous certification exam. Arborists work on health and safety issues of trees, shrubs and vines. They are trained in pruning, removal, planting, emergency tree care, and fertilization, among other services. 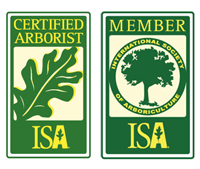 Q: Are you a certified arborist? A: Randy Harris has been a certified arborist since 1986. Q: How much does it cost for an estimate? A: Artistry In Trees provides a written estimate of proposed work at no cost to its customers. A: Artistry In Trees has served Marin County and the greater bay area since 1982. Q: How much does it cost to prune a tree? A: It depends on the specific task so prices will vary. For instance, size and location are the key factors in determining price. 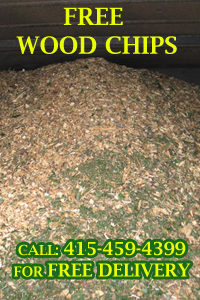 But there is no cost to have our arborist come to your house and provide you with a firm estimate. Q: Why should a tree be pruned? A: There are many reasons to prune a tree: to improve light, to eliminate safety issues, to enhance a view, to improve aesthetics but one should always adhere to the ISA Pruning Standards. Q: How should pruning cuts be made? A: For all trees, cuts should be made just outside the branch bark ridge and collar. Permanent damage can be caused, and decay can result, if branches are pruned incorrectly. Q: A tree on the new property I bought has more than one main trunk. Should I do anything about it? Q: I recently bought a tree from a nursery. Now that it’s planted at home, are there different ways I should maintain it? A: Tree care practices at home versus a nursery, can mean two very different things. For example, a tree’s lower branches in a nursery may be fine, but eventually may require pruning or removal in a residential setting. Q: How is safety established on site? A: Even before the crew arrives on site, they have reviewed the nature of the job. Once there, the truck is blocked off, safety cones and “Men working in trees” signs are displayed. A removal route for debris is established, fragile items are noted or moved from the work area, and a safe place is set up to fuel chain saws. If questions are raised by the homeowner or neighbors, these concerns can be discussed before the work begins.